Reunited, and it feels so good! Or rather, feels so bad! Eddie Brock and the Venom symbiote are together again, web-slinging their way around New York! But with questions still lingering about how the symbiote was separated from Flash Thompson, what lies in its future now that it's back where it belongs? 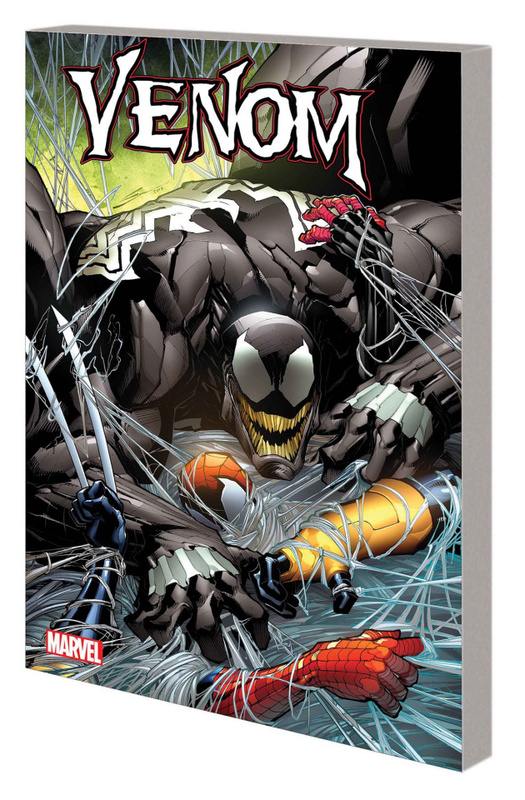 Will Venom be the city's lethal protector - or revert to a sadistic, Spidey-hating villain? Find out as Eddie's next chapter begins - with a showdown with Stegron the Dinosaur Man! Are Eddie and Venom the ones to stop Stegron from turning everyone in Manhattan into bloodthirsty dinosaurs? Or is something not quite right with this revived relationship? As a monstrous melee begins, Moon Girl and Devil Dinosaur drop by to help - but big red just might take Stegron's side.